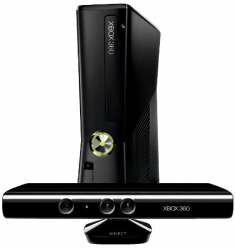 Have fun with your family, friends, and special someone even while you’re indoors with the Microsoft XBox 360 4GB Kinect Console. You won’t even have to move away from your couch as you exert a little physical effort. Just step in front of the sensor, and the console will recognize and respond to even the slightest movement that you make it. With a variety of games the family of gang can choose from, it is bound to guarantee a fun and a memorable bonding experience for everyone. Upon purchase, you will receive 1 month Xbox Live Gold membership for greater bonding experiences.